Along with several other varieties of Begonias, we have a brand new variety called Montreal White. 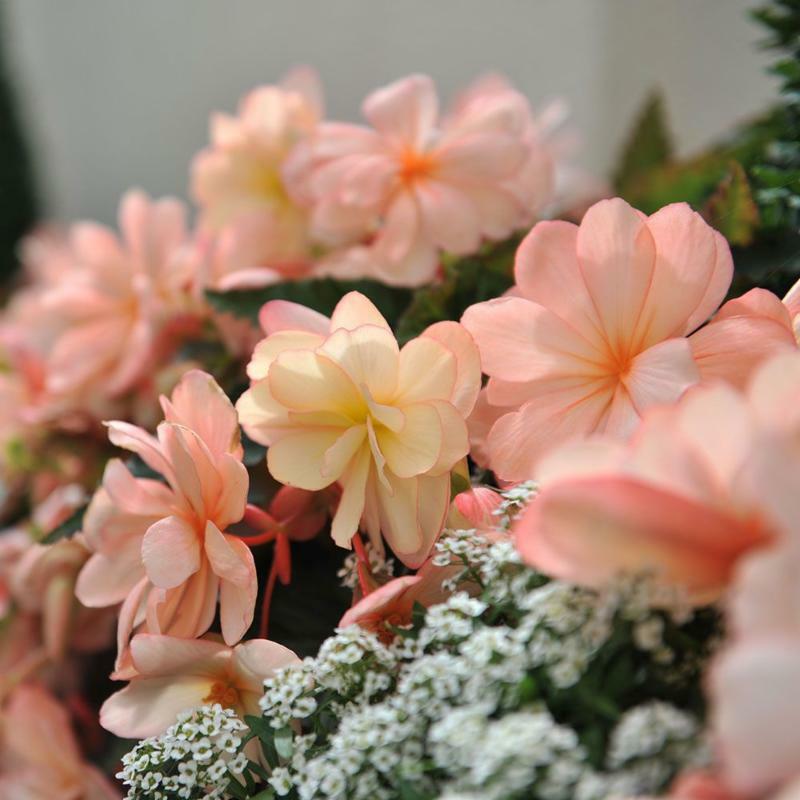 This variety has creamy white blooms edged in a delicate coral pink. 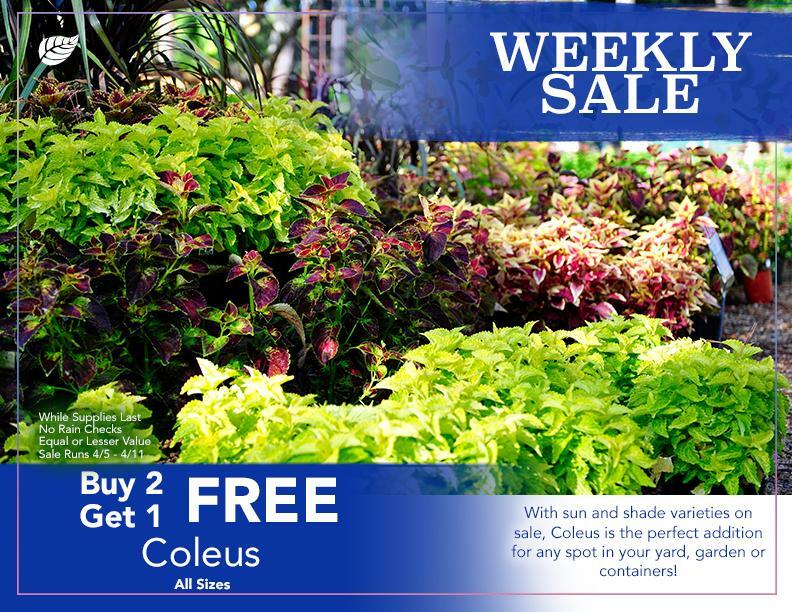 It's lovely, semi-trailing form makes it an ideal candidate for containers, hanging baskets and window boxes. Plant in partial light. Our fruit is growing! 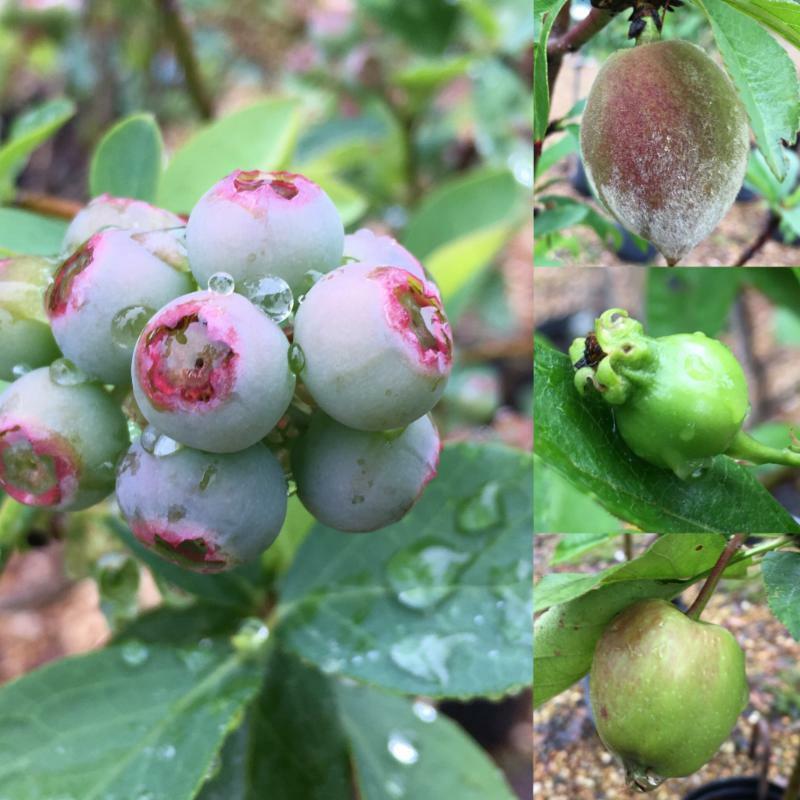 We've got an amazing selection of fruit trees and bushes in stock now. Lots of our plants even have fruit on them right already! 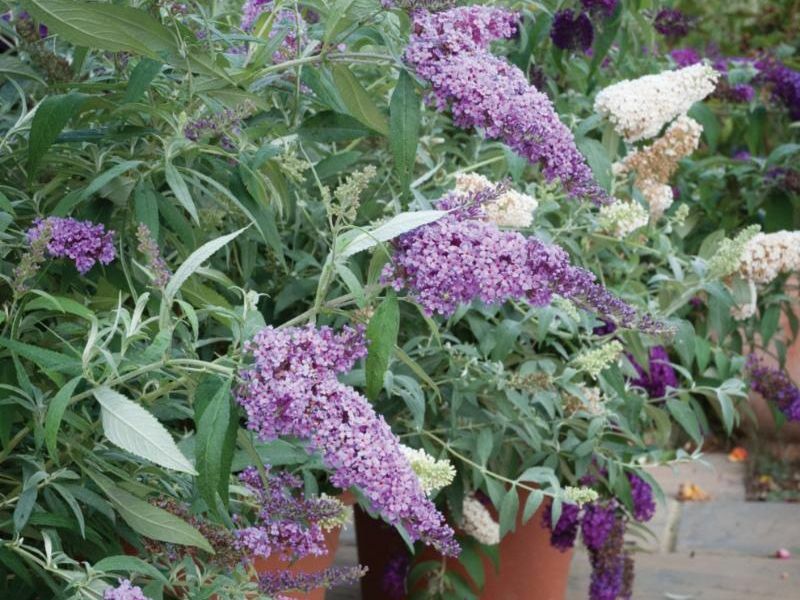 This group of butterfly bushes are the perfect choice for home gardeners. 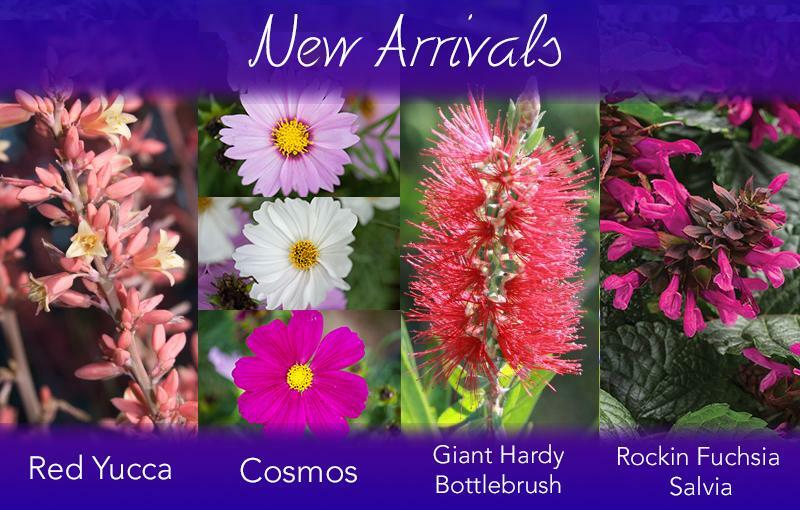 Compact plants around 3'-4' tall & wide produce large, fragrant blooms in non-stop flushes from spring through fall! 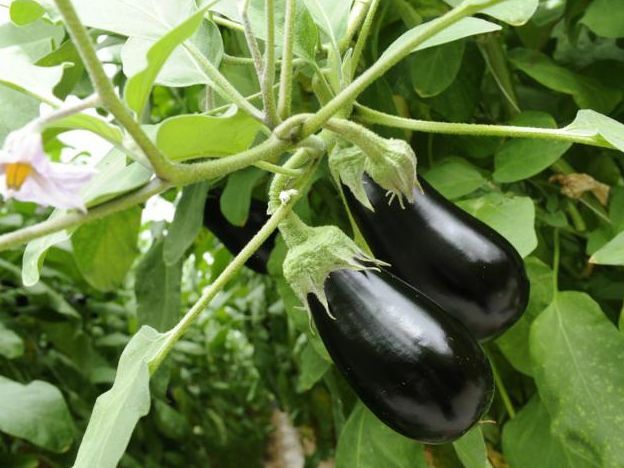 We're proud that all of our veggies come from local farms! 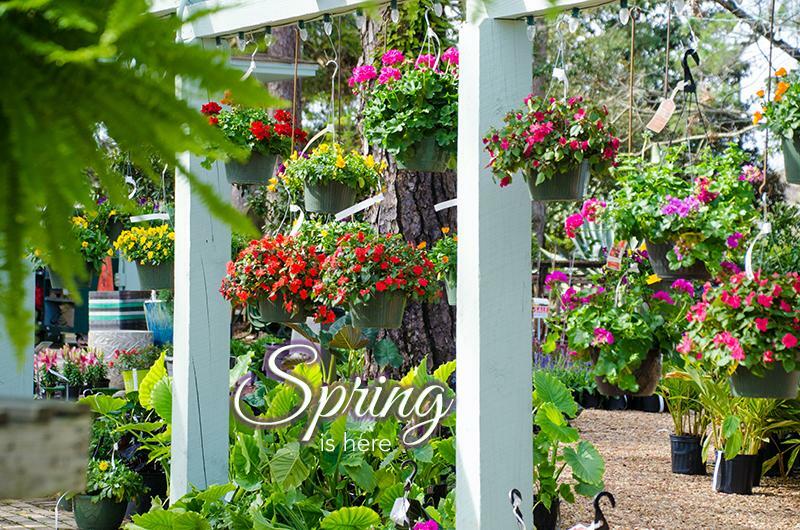 We have a wide, fresh selection of dozens of spring veggie varieties to choose from! Tomatoes, peppers, eggplant, squash, zucchini, okra and many others! 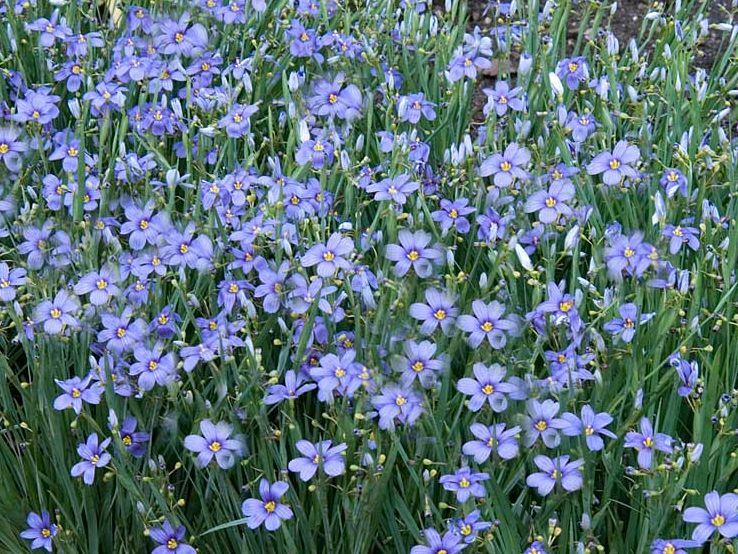 Native grass with soft blue colored flowers at the top of the foliage. Found naturally in meadows, damp fields, open woods, moist pinelands and grassy roadsides. Blooms prolifically in the spring and early summer. 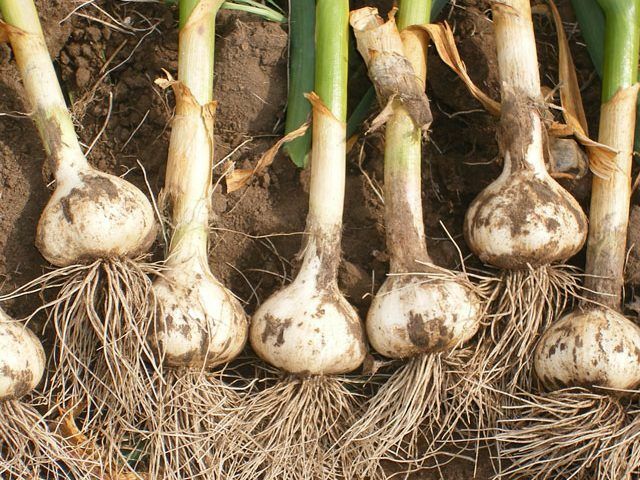 Now is still a great time to plant some veggie bulbs and tubers! We have a great selection of Onion, Garlic, Potatoes and Asparagus on sale! Not valid with other discounts. 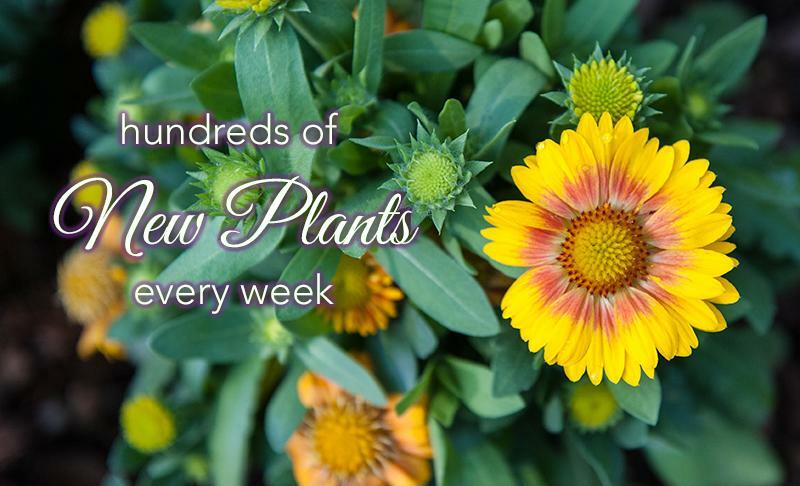 We have HUNDREDS of NEW plants every week. Beautiful and diverse, available in bright colors and unique styles. Rich-colored rebloomer that bees, hummingbirds and butterflies alike will love. 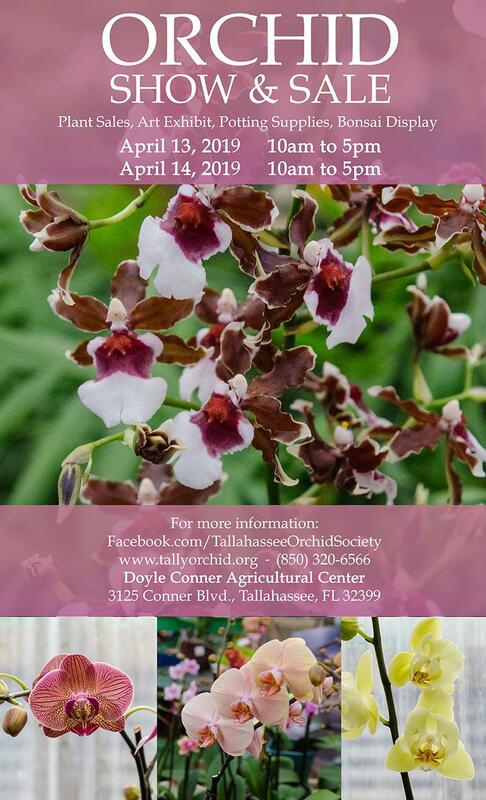 We are SO excited for our annual miniature gardening event! 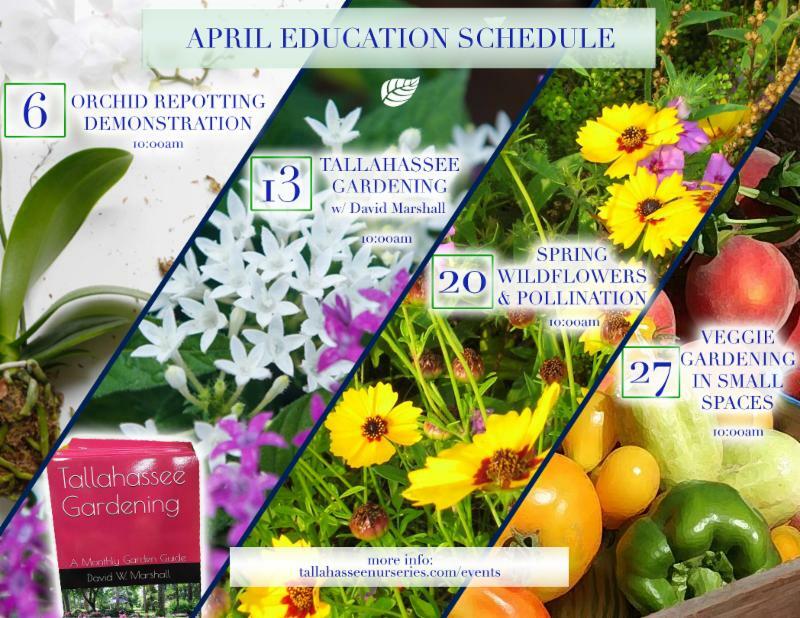 This is our most popular Little Gardener's Grow Club event, and we’re thrilled to announce this year's themes. 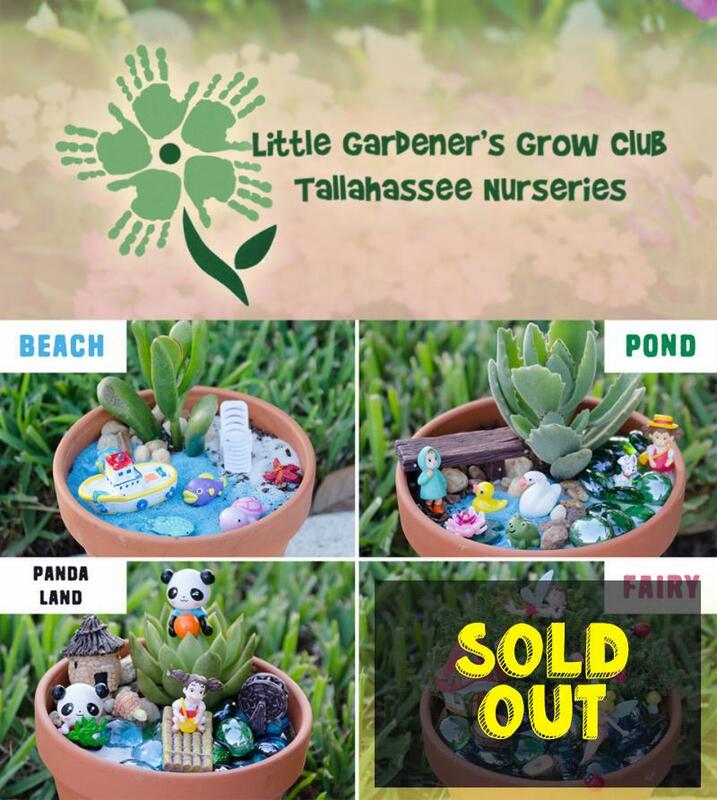 We will learn about succulents, follow a treasure map through the nursery, and create our very own miniature gardens! We have four amazing themes for our little gardeners to choose from this year! 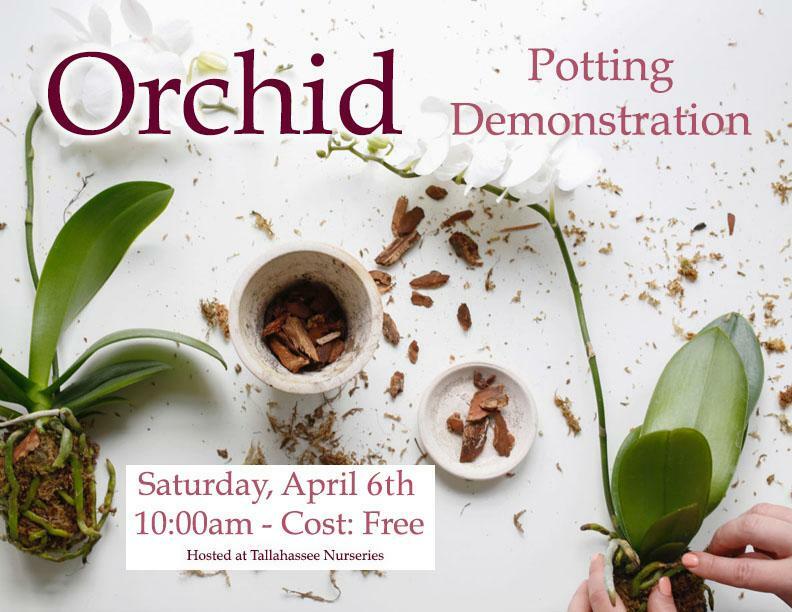 The Saturday educational talk schedule is set! on your computer, tablet and/or phone!